Book Cover Design in Washington - Graticle, Inc.
We’re an established book cover design company serving Washington State. Graticle is your single source for book cover design and print design since 2009. We specialize in print design for clients looking to take their products and marketing to the next level. At Graticle, we will ease your mind by creating a design that’s tailored to your needs. Then, we walk you through the options to find the format that will best accomplish the goals you’ve established for your project. We do our best keep you involved at every aspect of the project. From creating the initial layout in a wireframe, all the way to the printed product. Communication is key, and we keep you aware of our progress weekly, if not daily. Need proof? Read any one of our 75 testimonials and browse our portfolio. 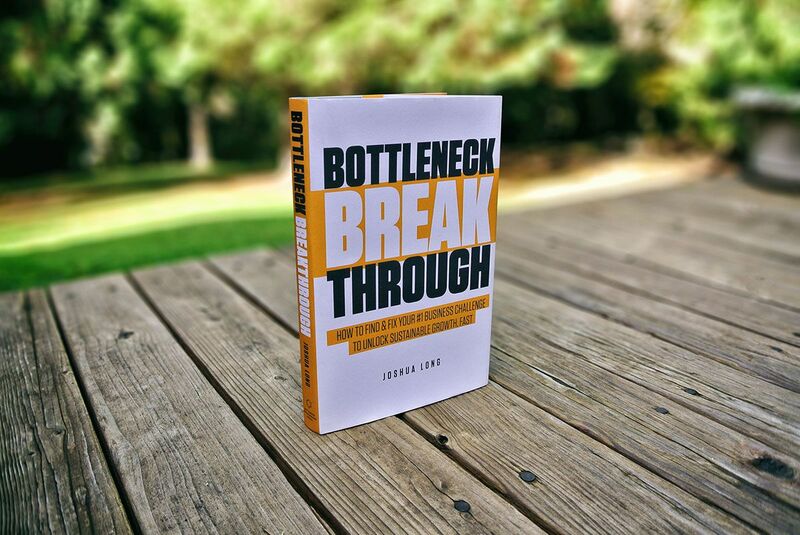 We designed this book cover for Joshua Long's new book, Bottleneck Breakthrough. We've worked with Joshua Long for the past decade helping him with hundreds of graphic design, print design, and web design projects. When he reached out to us about designing his new book, we were thrilled to help it come to life. After reading his book, we spoke with Josh to understand his needs and how we could best reflect that in the design of his book. Starting with the overall branding of the book, we then moved into the actual jacket design. I have worked with Shawn on multiple Web design projects and all I have to say is, he is the best person I have ever partnered with. I own a marketing firm and when I have a client that needs an awesome website, I will only use Shawn as my designer and development guy. He asked all the right questions, and his process for building sites is better than anyone’s I’ve seen. Just hire him. That’s it.